Aeries Software will continue to pioneer new technology changes in computer student management software and services. Below you will find Aeries newsletters and press releases you can view, download, and/or print. Sacramento, CA - Aeries Software, the leading provider of student data management systems in California with over 530 public school districts utilizing the Aeries® Student Information System (SIS), today announced at its annual fall User's Conference that it has committed to delivering interoperability to its customers by adopting the Ed-Fi Data Standard, which is a way for multiple sources of data to seamlessly and securely connect. Aeries Software is currently pursuing Ed-Fi Certification, which will ensure the technology platforms are mapped correctly and will work as intended. Aeries Software will be offering this additional functionality to its school districts at no cost. Currently, school districts must write custom integrations each time they want to utilize a new software or technology tool. Even when they can successfully integrate a new software platform into their IT architecture, the data generated is siloed in its own system. This can waste valuable time for teachers and administrators that must log into multiple systems, making a complete picture of student progress near impossible. There is a better, more efficient way to support educators and students. By standardizing on the Ed-Fi platform, technology providers, like Aeries Software and the school districts they serve, will have the benefits of dynamic data integration and ultimately the ability to surface real-time or near-real-time information to educators, administrators, parents and students in order to deliver the correct educational supports when it's needed most. Further, by adopting Ed-Fi’s Technology Suite, Aeries Software can strengthen California schools’ ability to select "best-of-breed" tools, enhancing Aeries SIS student data with the district’s choice of assessment and achievement data. Aeries Software will be offering California schools a dynamic data integration with their Aeries Student Information System (SIS) and a wide variety of teaching and learning systems. Schools adopting the Ed-Fi Data Standard will provide educators greater access to many software resources with seamless data exchange with the Aeries SIS. Learning Management Systems (LMS), Assessment Testing, and Individualized Education Programs (IEP) will integrate with ease to the Aeries SIS using the Ed-Fi Data Standard. To learn more about the Ed-Fi Alliance, interoperability, the Ed-Fi Technology Suite and its benefits to local education agencies please visit http://www.ed-fi.org. California's leading student information system, together with EdBacker, deliver a robust new tool aimed at school districts managing financial transactions in Aeries SIS. Today, Aeries Software, developer of the leading Student Information System Aeries SIS, announced it would immediately begin offering customers a tool allowing schools to collect fees online from parents and students. Aeries partnered with established educational fundraising platform, Edbacker, to integrate payment processing functionality directly into the SIS platform. Aeries’ partner Edbacker, an online fundraising and donation management platform, brings a proven and reliable infrastructure to Aeries Financials for easy payment processing. Additionally, the platform offers comprehensive crowdsourced fundraising campaign functionality via the core Edbacker product that districts can opt-in to if desired, on top of the basic payment processing. "EdBacker is honored to partner with Aeries SIS to enable districts, parents and students with a more intuitive platform to ease the burden of fundraising," said Gary Hensley, CEO of EdBacker. "The EdBacker fundraising solution is designed to help engage more supporters, raise more funds and allow districts to manage the fundraising process more easily and effectively." With Dewsly's enterprise communication solution called Signal Kit, schools can take advantage of built-in functionality within Aeries Student Information System. Aeries Software has entered into a trailblazing new partnership agreement to provide Signal Kit to its existing and prospective clients. Signal Kit, the premier product by Dewsly Education, already has over a quarter million customers using the product nationwide. Aeries Software has a rich history at the forefront of product development in the Student Information System space and with Signal Kit, Aeries is planning to completely change the communication landscape in the K-12 community. For years, Aeries has demonstrated its commitment to interoperability by continuing to offer districts and third party systems unobstructed access to the Aeries API. However, the Aeries partnership with Signal Kit brings a next-level degree of integration by providing instant comprehensive data sharing, push notification, and triggers that cannot be accessed with current communication companies. “Since districts had no easy way of providing a simple communication platform, educators are forced to use technologies like Twitter, personal email and texting to communicate, which provides zero administrative oversight,” Noll explains. Signal Kit not only provides that much needed oversight, but also provides multi-lingual communication, emergency alerts, and attendance communication in a familiar environment for teachers and parents to engage. Parents, students, educators and administrators have already expressed praise for the simplicity and effectiveness of the Signal Kit platform. This streamlined access will undoubtedly foster better and more efficient communication throughout California districts. Eagle Software, the leading provider of Student Information Systems for California K-12 schools, today announced a new partnership with LearnSprout, a fast-growing predictive analytics company for K-12 schools and districts. The partnership will provide California schools using Aeries.net with early warning software that will identify at-risk students, track chronic absenteeism and identify historical trends in student data. The integration will also allow for the use of the new LearnSprout Dashboard, which allows high school counselors to monitor college readiness for an entire school at a glance. Schools using the Aeries.net Student Information System can register for LearnSprout on the company’s website: http://www.learnsprout.com. LearnSprout’s mission is to help all stakeholders in K-12 education use data to understand the past, analyze the present and anticipate the future. Established in 2012, LearnSprout has grown quickly to become one of the leading data analysis solutions for K-12 education, providing robust at-risk student identification, college-readiness tracking, chronic absenteeism reports and historical trend analysis. Hayes Software Systems, the leader in inventory control solutions for K-12 education administrators, today announced its partnership with Eagle Software, a leader in student data administration software. The partnership will allow school districts using Aeries Student Information System to seamlessly integrate with the TIPWeb inventory management platform, enabling schools to manage the complex processes of assigning instructional materials and devices to staff and students. “We are excited to support our customers evolving needs with quick and easy access to the asset and textbook management solution capabilities Hayes provides," said Barry Lloyd, President for Eagle Software. This partnership is beneficial to administrators and staff alike by eliminating the need for duplicate data entry and supporting real-time communication to parents. School districts utilizing Aeries and TIPWeb will now have the ability to issue a device or instructional material out to a student through TIPWeb, and manage all outstanding obligations centrally in their Aeries application. Furthermore, parents with access to the Aeries Parent Portal will see items the district has distributed to their child, as well as be notified of any charges, fines or fees placed on their child’s record and make direct payments. With this partnership, current Aeries customers will be eligible for special program discounts should they like to enhance their Aeries experience with either one of the TIPWeb modules for inventory management. To learn more about TIPWeb, call 800-749-5086 or visit http://www.hayessoft.com/products-services. By incorporating respected methodologies with the unique needs of education professionals for over 24 years, Hayes helps over 5,700 schools across 38 states, including 25 of the top 100 largest districts in the country, implement inventory control solutions. Hayes is a privately held company specializing in inventory automation solutions and consulting services to support K-12 instructional technology and instructional material accountability. While primarily servicing K-12 school systems, Hayes also has customers in higher education, state agencies, and government entities. For more information, visit www.hayessoft.com. Eagle Software, a leader in student data administration software, today announced its new partnership with Clever, a leading edtech platform company. The partnership allows any school district using Aeries.net to instantly create a secure connection with Clever, making point-and-click integrations possible with more than 100 online learning applications already supporting Clever. The partnership is among the first to leverage Aeries’ new API features released in July 2014. By allowing schools to securely and automatically update online learning programs with rosters in Aeries.net, Clever will save Aeries customers – especially teachers and support staff – thousands of hours of data entry that could be better used for critical instructional time. Aeries customers will also benefit from Instant Login by Clever, a single sign-on service that offers students and teachers one-click login for all of their learning applications. “Aeries is proud to partner with Clever to provide schools the ability to have the most up-to-date student information each time they use online applications. This partnership is a great example of two industry leaders coming together to make it easier for schools to utilize the most of the exciting new world of digital learning in the classroom,” said Barry Lloyd, President of Eagle Software. Schools signed up with Clever are now able to securely sync enrollment data from Aeries.net with all the applications they use. School administrators maintain complete control over what data is shared with each application partner. This new functionality is available to all Aeries.net schools immediately. Clever is a leading edtech platform company that offers K-12 schools the simplest way to adopt, manage and use learning software in sync with their existing student information systems. More than 22,000 schools across the United States use Clever, and more than 100 innovative software applications now integrate with Clever, including Interactive Achievement, Imagine Learning, and DreamBox. In 2012, the SIIA named Clever the "Most Innovative Company in Education," and in 2013, Clever was awarded first place at SXSWedu. Clever's headquarters are in San Francisco. For more information contact Clever at (415) 562-6483, press@clever.com, or http://clever.com. Eagle Software and Adrylan Communications are excited to announce their partnership in creating a seamless integration between Aeries® Student Information System (SIS) and Educator’s Assessment Data Management System (EADMS).This partnership introduces a new level of accessibility and convenience for users of both companies' products. This partnership is beneficial to teachers, administrators, and staff alike by eliminating the need for duplicate data entry and multiple logins for different systems. By combining the proven solutions of both companies, school districts can count on the dependability of two fully-featured systems to handle all of their student management, assessment, and analytic reporting needs. Adrylan Communications, Inc. is the designer of the Educator’s Assessment Data Management System (EADMS). Based in the Murrieta-Temecula Valley of Southern California, EADMS has been providing K-12 assessment and reporting solutions since 1998 and fully supports California’s transition to the Common Core Standards. Aeries is the most widely used Student Information System in California and continues to evolve to meet the ever-changing data management needs of school districts throughout the state. Located in Anaheim, California, Eagle Software has been providing school administration solutions since 1995 and now supports over 550 school districts and local educational agencies throughout the state of California. Eagle Software announced that Huntington Beach Union High School District has selected the web-based Aeries.Net as their premier student information system solution to meet the needs of over 16,000 students. Huntington Beach Union High School District will implement Eagle Software’s web-based solution, Aeries.NET, Aeries Portals, and Aeries EMT during the 2013/2014 school year. This web-based solution and mobile platform will enable students, parents, educators and administrators multiple point access to critical student data in an intuitive, timely manner. Eagle Software, the leading provider of student information systems in California’s K -12 market, continues to improve its customer experience with the introduction of a vibrant, feature-rich website. The new Aeries.com website offers quick and easy access to essential product and support information. “Eagle Software’s updated website provides a sleek, easy-to-navigate layout, with obvious menu choices that make my job supporting Aeries a snap!” says Vicki Worthley, Director of Technology, Monson-Sultana School District. “Our goal was to provide our customers with easy access to support and training materials, as well as timely, industry-specific articles and blogs which are accessible from the home page,” said Brent Lloyd, Vice President of Operations at Eagle Software. The user-friendly interface, combined with social media integration and content blogging provides a rich, interactive experience for Aeries.com users. Eagle Software is excited to announce that development has begun on what we are currently calling: Aeries Analytics, a fully integrated testing and assessment system. Aeries customers have long utilized the existing testing and assessment features of the Aeries Student Information System, but have often requested that the system be developed further. Aeries Analytics will enable full integration with the Aeries Gradebook and existing Aeries Testing and Assessment Reports. Features will include batch or individual plain-paper test scoring by teachers or administrators and standards integration between test questions, the Aeries Gradebook, and Aeries Standards-Based Grade Reporting. For more information please see the Aeries Analytics Overview Documents. To have your school or district added to our list of interested Aeries customers, please email sales@aeries.com. More information and details will be made available as development progresses. Aeries has been selected by over 500 California school districts and educational agencies as their Student Information System. Aeries is now used to manage over 2.5 million student records and over 3,800 California schools count on Aeries for their student data needs. "With California districts and schools struggling to manage lean budgets and uncertain state reporting requirements the functions of their student information system are vital for day to day operations. Eagle Software is widely known for focusing on the needs of California's schools and districts and the constantly changing state and federal reporting requirements. Our unmatched focus, continued innovation and dedication to providing the best customer support in the student information system industry have enabled us to become the leading SIS provider in California," stated Matthew Busser, Eagle Software Director of Sales and Marketing. Eagle Software has established a reputation for unparalleled customer support. Eagle Software began partnering with California school districts as their student information system provider in 1995. "Over the last fifteen years we have built a strong reputation for taking care of our customers by providing result-oriented customer support and service," explained Greg Foran, Eagle Software Support Manager. Eagle Software's support team consists of experienced K-12 professionals who understand the culture and workings of the K-12 education system. 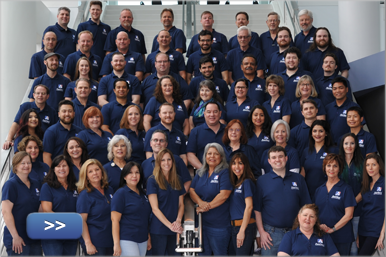 This deep knowledge of the K-12 industry and focus on exceeding customer expectations has enabled Eagle Software to set the highest standards in the industry for quality student information system customer support. The ongoing growth and development of Aeries is critical when maintaining the expectations and demands of the K-12 environment. Aeries utilizes a real-time, highly secure centralized SQL database offering both web and client access. Camden Iliff, Eagle Software Director of Student Systems Development added, "The versatility of Aeries allows districts and schools to evolve as appropriate for their individual needs and technology culture. Districts and schools can host the system themselves or they can have us do it for them. Many require full web-based or mobile access to the SIS, while others are not quite ready for it yet". Aeries is a great solution for districts and schools desiring a system that will grow with them as necessary for their current and future student data needs. Eagle Software's ASP hosting services continue to add appeal for schools and districts lacking the necessary personnel or hardware. Operating Aeries in this environment greatly minimizes the technical management and only requires the district or school maintain an internet connection, making it very easy to manage Aeries. Aeries Mobile is a mobile application and allows "detached" access via iPhone and Windows Mobile devices to be utilized by school and district staff, making student data available on the go as necessary for educators and administrators. Eagle Software's exclusive California focus, industry leading customer support and continued innovation has made Aeries an easy choice for schools and districts seeking a reliable student information system solution. Lightspeed Systems Inc., developer of network security software for the education market, and Eagle Software, the largest provider of school administrative solutions in California, have integrated their products so schools can better monitor online user activity and support student safety measures. As a result, the Aeries Student Information System from Eagle Software features reports of students' Internet usage that are obtained from Total Traffic Control, Lightspeed's network security and monitoring solution. For many years, schools and districts have faced the challenge of connecting data from disparate administrative systems to conduct analysis and make informed decisions to improve school efficacy, particularly as the No Child Left Behind Act and other federal legislation called for more education oversight and accountability. "Information spread across too many access points can be as ineffective as no information," said Scott Garrison, president of Lightspeed Systems. "We want to help administrators get the information they need to protect students online and take appropriate action. We are working collaboratively with Eagle Software to incorporate our critical information on student online activity with schools' central access point for student data." With the Aeries and Total Traffic Control integration, the student information system interface includes an additional screen that provides reports on an individual student's Internet activities and suspicious search-engine queries, such as terms related to bomb making, gang involvement and suicide. By monitoring and analyzing student behavior on the Internet, administrators, principals, counselors, and other designated staff can detect early warning signs of potential threats to student safety, document acceptable-use-policy violations and resolve inappropriate online activity. "Our partnership with Lightspeed provides customers with valuable information at their fingertips, and it furthers our mission to provide a comprehensive data management solution that meets the diverse and ever-changing needs of schools, districts and education agencies," said Camden Iliff, Director of Student Systems Development for Eagle Software. "To our knowledge, this is the first time that network monitoring tools have been integrated into a K-12 student information system." The Aeries Student Information System is a flexible, Web-based system that manages student data, scheduling, grade reporting, attendance, medical information, test scores, financial data and more. Total Traffic Control is all-inclusive network security software, offering a full range of network protection features in a single application, including content filtering, spam management, bandwidth management, antivirus protection, extensive reporting capabilities, email archiving and mobile filtering. In more than 3,200 schools across 420 public school districts and education agencies, over 2 Million Students are managed by the Aeries™ Student Information System. Eagle Software has enjoyed strong sales and growth since introducing the Aeries Student Information System to California more than 15 years ago. "Having 1/3 of the state use Aeries shows how well Eagle Software takes care of its customers. Eagle Software specializes in providing top rated customer support and training; and this shows in our customer satisfaction" states Eagle Software Vice President, John Walden. Eagle Software is proud to announce the latest addition to the AERIES® product family. Aeries.net is an Entirely Web-Based application designed for use by School and District Office Staff. Aeries.net can be used across a school district to provide real-time access from any network connected computer using any of the major Web Browsers. Aeries.net is not a replacement for the AeriesCS Client Software, but rather an extension of functionality that can address the needs of certain school and district administrators through an easy to use, yet feature-rich, web-based application. Please contact info@aeries.com for pricing and product details or Click Here for More Information.